In 1973, the band Argent had a mild hit single called “God Gave Rock and Roll To You”. It seems that in 2016 God’s decided to take it back. The death of Prince was as shocking and unexpected as that of Michael Jackson, and shook the musical landscape nearly as hard. For someone who was so outrageous on stage, who celebrated and struggled between carnality and spirituality, and whose appearance was so flamboyant, Prince was very circumspect about his life. Aside from the protégés he dated, he mainly avoided the gossip mill despite being one of the most successful musicians in the world. This, and his seeming devotion to being a Jehovah’s Witness, was why everybody bought the “flu” excuse his publicist made when Prince was treated for an “emergency” a few days before he died, even though it made no sense. It’s beginning to look more like the standard rock star death: opioids are the cause; whether it was an overdose or just a cumulative toll of addiction remains to be seen. I’ll confess that I was never a big Prince fan. I wasn’t crazy about the synthesizer-heavy sound of many of his 80s hits, the length of his album cuts, and I thought the salacious lyrics of his songs bordered on cartoonish at times. But I’ve always respected Prince as one of the rock music immortals. He was a musical polymath, a virtuoso musician on any number of instruments. He wrote, recorded, and produced his albums mostly alone, playing the lion’s share of the instruments and bringing out a full band when live shows beckoned, but his music never sounded like the work of one man in a studio. 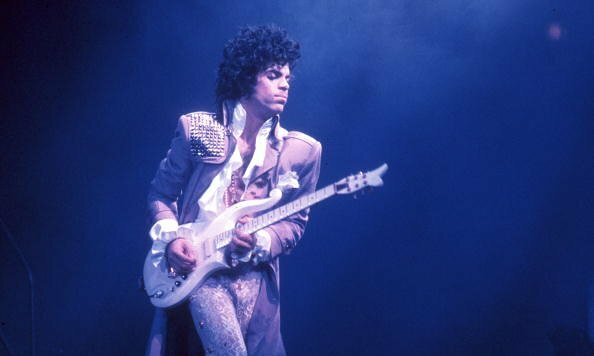 There was a fresh, live intensity to his recordings even if it was Prince going from guitar to bass to drums to keyboards. It was the sound of a party, and Prince was the DJ. All respect for a virtuoso and complete original. The first video I ever saw on MTV was Prince’s “1999”. I’d never heard of him. As I was flipping through channels I caught a glimpse of a black man wearing a bandanna around his head, holding a guitar, and singing into a microphone. “Was that Hendrix?” I clicked back to that channel and was confronted with Prince. I didn’t care for the song at first; it was too dance-oriented, too synthesized, and not a bit like Hendrix. But as the song took off I learned to like it, and eventually love it. Not as much as “Little Red Corvette”, the radio-friendly pop hit whose raunchy lyrics sailed over the heads of radio and MTV programmers. That song I loved right away; its chorus was irresistible. Prince eventually became a huge part of the soundtrack of my college years. Purple Rain was released as an album and a movie, and while the movie is pretty forgettable (Prince was no actor), the soundtrack is a modern rock classic, spinning a dizzying collection of sounds from the dance metal (?) of “Let’s Go Crazy” with its frenetic guitar solo ending to the weird, off-kilter hit “When Doves Cry” to the plaintive rock ballad of the title track. Only Prince could have pulled off something like “I Would Die 4 U”, a song about God set to a slinky retro-disco beat. But while Purple Rain was likely his peak with tight, concise, focused, and powerful songs, for me his greatest statement was the song “Sign O’ The Times”, a percussion- and bass-heavy funk ballad that surveyed life in 1987 and saw the coming Apocalypse. It’s a thrilling song with an unusual semi-spoken lyric that proved there was more to Prince than an endless party. Commercially he trailed off after that, enjoying hits, but never again reaching the apogee of the Purple Rain era. He became known as an eccentric, writing the word “Slave” on his face and changing his name to a symbol, eventually becoming known as “The Artist Formerly Known As Prince”. Few understood the bruising battle and lawsuits with his record company that led to these actions. To the outside observer it just seemed weird, and became the fodder for late night TV snark. But when the lawsuits were settled and the battle ended, he became Prince once again. Through it all, Prince was an original. He sounded like nobody else on the scene, and nobody could sound like him. He was influenced by everything he listened to, and filtered it all through his music. A disco beat, a New Wave synthesizer, a heavy metal guitar solo, gospel vocals on an X-rated lyric…sometimes all in the same song. He was as unpredictable and wild as his peer Madonna, but his skill as a musician made it all valid. His like will not pass this way again any time soon.